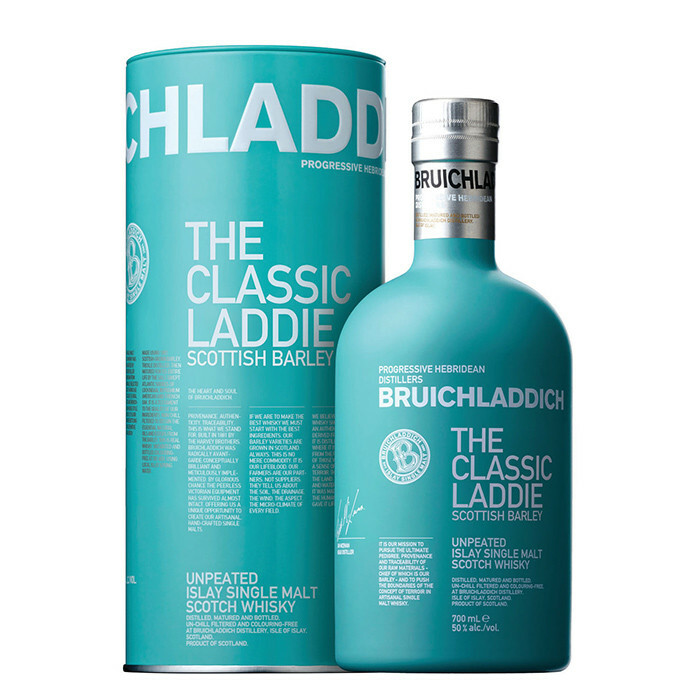 Character: An elegant expression of Bruichladdich style. super fruity and full of atlantic freshness. Nose: The opening notes are of fresh fruit, typical apple and pear slightly under ripe so characteristic of our spirit. Then pear drops apricot and pineapple in fruit syrup rise in the next wave. Vanilla oak is not far behind rolled in malted barley sugar and with a hint of straw. After a moment of warming the glass in your hand the floral tones of gorse and honeysuckle come through. The longer the whisky has to breathe the more you will find on the nose. Palate: Spice gives way to sweetness as a pepperiness on the lips becomes mango and peach. Layer upon layer of oak from the variation of casks used to create this dram gives vanilla, lemon, honey, toffee and a creamy buttery texture and mouth feel. A second taste will bring hints of fruit, raspberry and strawberry for sure and a touch of citrus and orange marmalade. The complexity is a joy to taste as each style of toasting or charring of the finish fresh sea breeze, sweet floral heather honey and citrus bring this dram to a close, but like a typical island goodbye it’s not cheerio straight away, there is still a word or two to be had as the finish extends into the night with a long lasting vanilla note that doesn’t seem to end.